Cave Tourism in Yogyakarta : which one has an underground river? Cave that does not have an underground river. 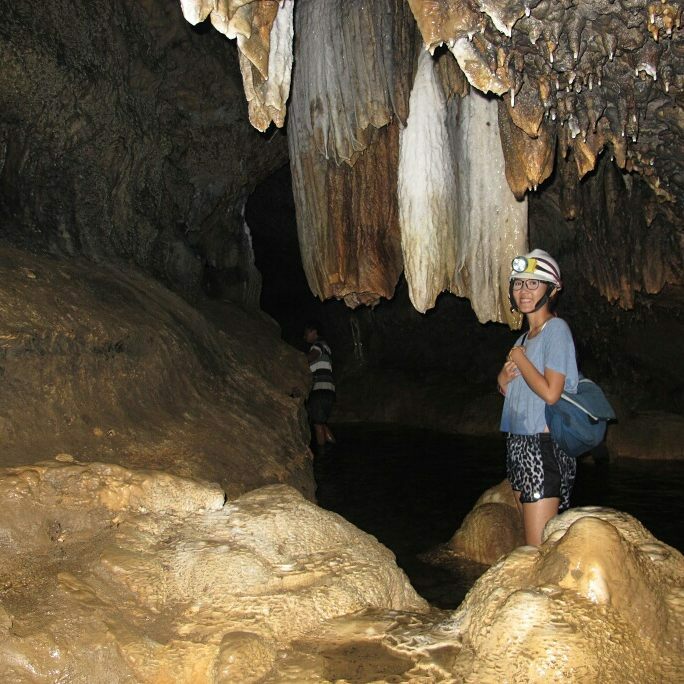 So if you’ve been to Yogyakarta but missed caving tours, then it’s a big loss for you. There are several caves in there that you can explore and enjoy the beauty in them. 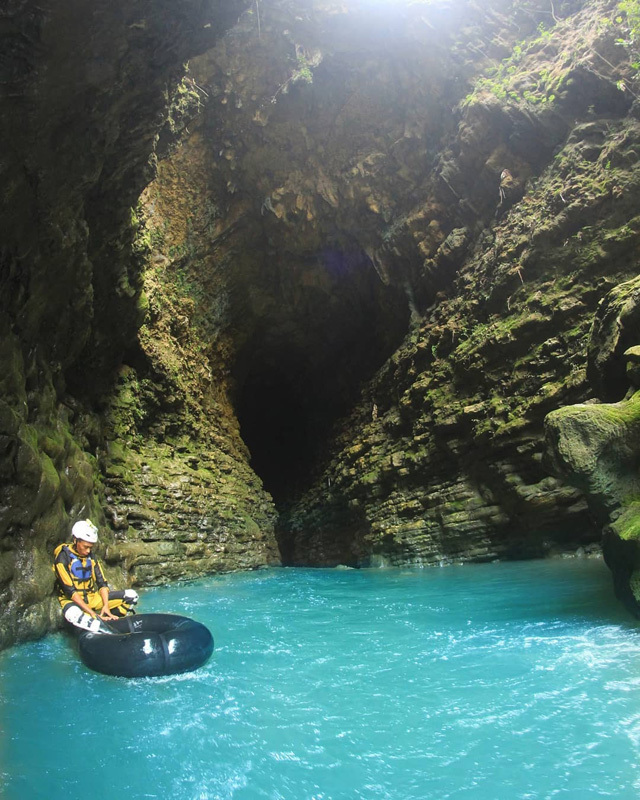 Mostly located in Gunungkidul, There are caves that have rivers inside and there are caves without a river flows. However, the cave which was the result of natural processes over millions of years ago was too beautiful to pass up. Yogyakarta has several caves with an underground rivers flow. In the cave that has the river you can do caving or body rafting. The depth of the river in the cave varies from 50cm to 4 meters. The width of the cave is also varied between 1 meter to 10 meters. Cave with characters like this are: Pindul Cave, Tanding Cave, Cerme Cave (located on the border with Bantul district), Kalisuci Cave and Glatik Cave. 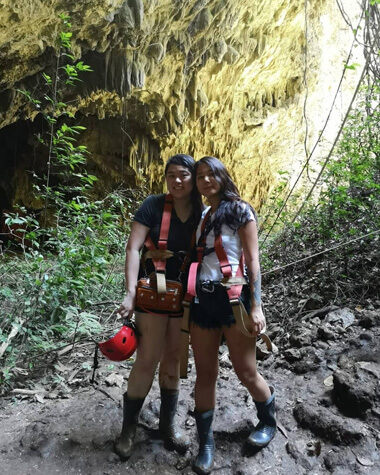 When a cave has a underground rivers, its means that we can go inside the caves and do body rafting or tubing experience. There is a cave that has a character without an underground river inside, named Jomblang Cave. however there is a kind of water flow that is not too big inside. “Gua Jomblang” is more like a hole (sink hole) where adventurers have to go down using a rope with the SRT technique (Single Rope Technique) to get to the bottom of the Cave. At the bottom of the hole, you will find a stunning view that you’ll never get in another place. In ancient times, the caves were not managed or even forgotten by the people who lived around them. In fact, Goa Pindul used to be a rubbish bin. However, public awareness are slowly increasing. The tourism potential that exists from the existence of these caves can be utilized properly and can prosper the local community. Evidently, now tourist visits to the caves are booming. Even though management is not professional nor using company-style management, Tourism management services of those caves in Yogyakarta has now improved. But sometimes, Cave tourism that should be enjoyed by visitors can merely turns into a sea of ​​people. Because there are no restrictions on tourists entering the cave. Congestion even occurs inside or at the mouth of the cave. Due to the explosion of visitors. But those facts just happened on peak seasons only. If you need a comfortable tourism, go there in a low seasons. Playing cave tubing in Yogyakarta is very exciting. You don’t need to be afraid of something happening. Before it was open for tourism, Research has been carried out beforehand to ensure the safety of cave lovers. Also, Every tourist who wants to play in the cave is protected by insurance and escorted by guides. All those stake holder are doing great jobs for making a enjoyable and safe tourism. When you enter into the cave, You will be equip with helmet, buoys, tires, elbow protectors, foot protectors, sandals, head flashlights, etc, according to the conditions of each cave. When you go inside the cave, The situation can be very dark, because there is no incoming light. Only in Pindul and Jomblang Caves, there are holes that allow sunlight to enter. And when the sun comes in, the scenery is very exotic and majestic. Some people call it “Heaven’s Light”. 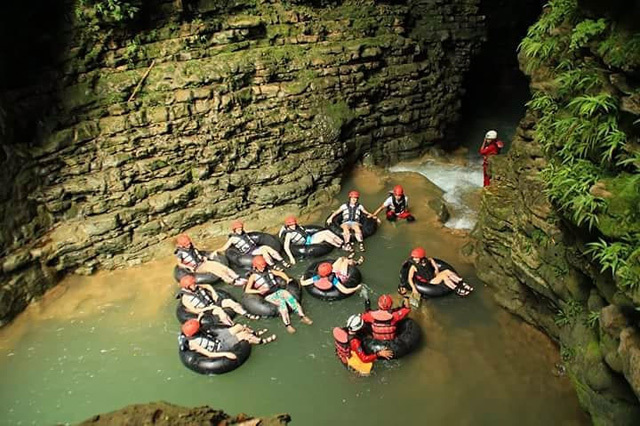 Well, now its time to you to prepare your spare time, prepare your mentally and physically to venture into tubing or body rafting in the caves. Your adventure journey will give you a deep impression on how beautiful the landscape around Yogyakarta. 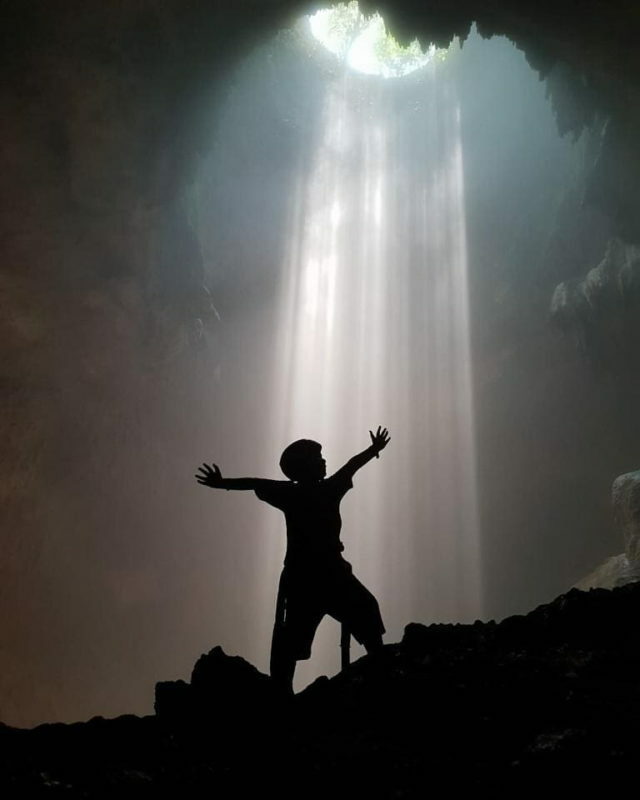 Heavens Light at Jomblang Cave.